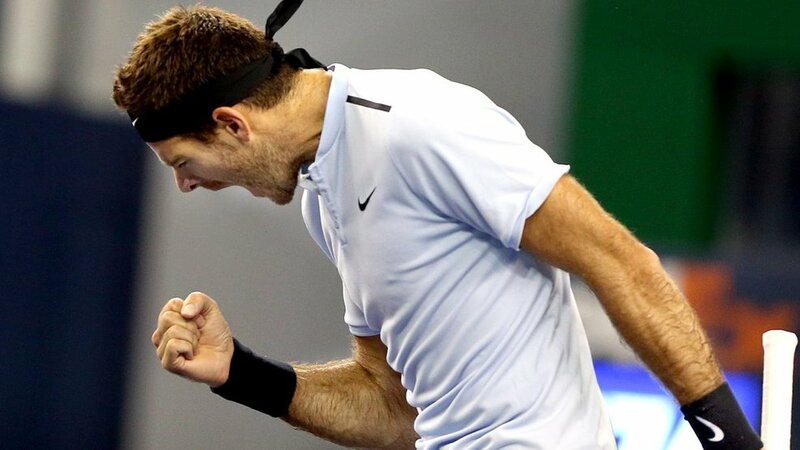 In the last few years, Juan Martin del Potro has definitely brought out some of the magic that took him to the US Open title in 2009 - winning the silver medal at the Rio Olympics comes to mind, as well as returning to the semifinals of the US Open last month, beating Roger Federer along the way. But as of this week, it might be just that little bit easier for him to bring out that magic week in and week out, because for the first time in more than three years, del Potro is back in the Top 20. Del Potro, who’s been ranked as high as No.4, dropped out of the Top 20 after an injury-marred 2014 season and fell as low as No.1045 - yes, No.1045 - in 2016. He worked his way back into the Top 50 by the end of last year and now, for the first time since October 12, 2014, he’s back in the Top 20. This week’s push from No.23 to No.19 came after a run to the semifinals of Shanghai, where he upset World No.4 Alexander Zverev before falling to World No.2 - and eventual champion - Federer. A return to the Top 20 could have big implications for del Potro. In over half of the tournaments he’s played this year, he’s had to play a Top 10 player in his first three matches - and in a third of the tournaments he’s played this year he’s actually had to play a Top 10 player in his first two matches. Novak Djokovic in the third round of Indian Wells, Federer in the third round of Miami and Andy Murray in the third round of the French Open are just a few examples of the Argentine’s tough draws. But now he’s on the cusp of a Top 16 seed for the Australian Open, and with just 340 points to defend in the next four months, the former World No.4 has a great shot at a Top 10 ranking by Indian Wells.